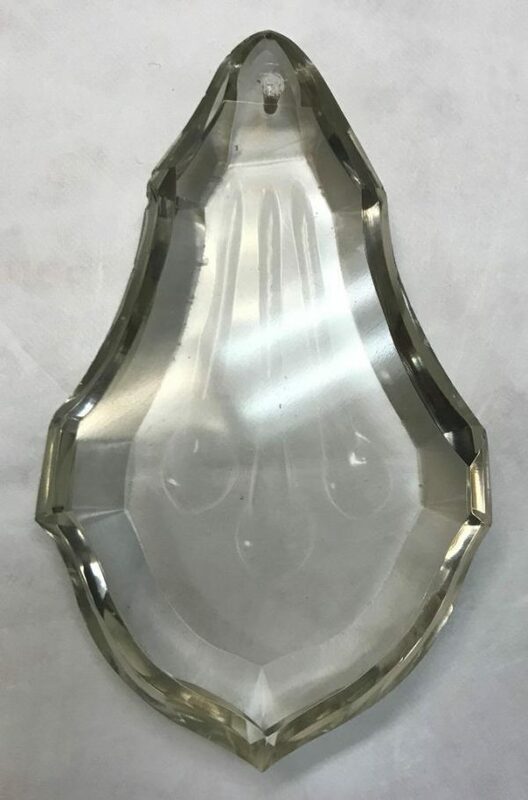 Today we are offering for sale a beautiful antique French crystal prism. 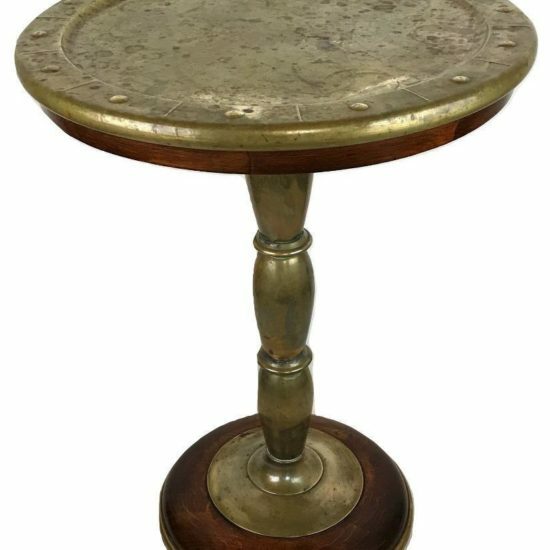 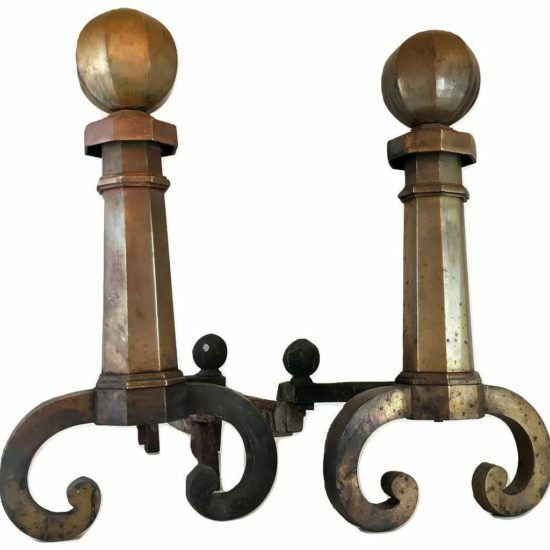 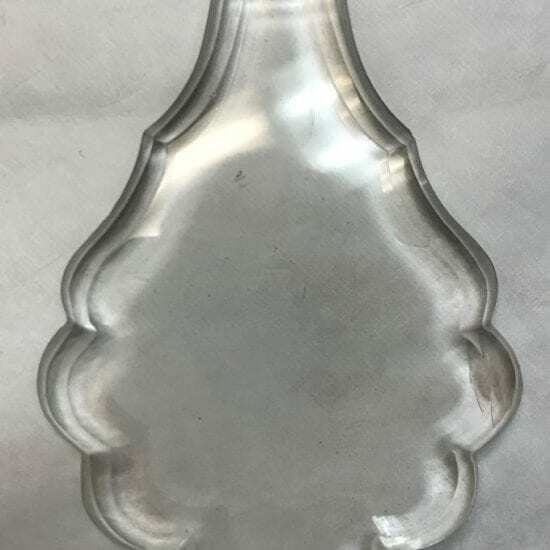 This fancy French pendalogue features a cut front and flat back and measures 4 1/2″ in height and 2 7/8″ in width. 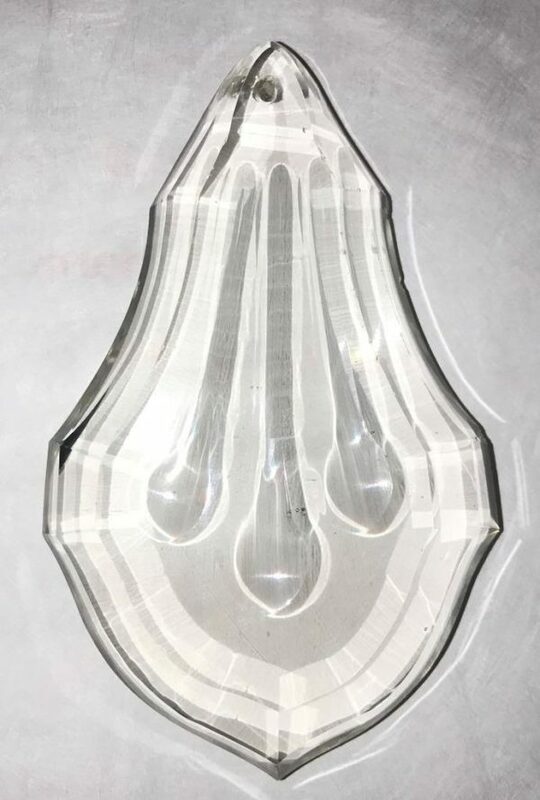 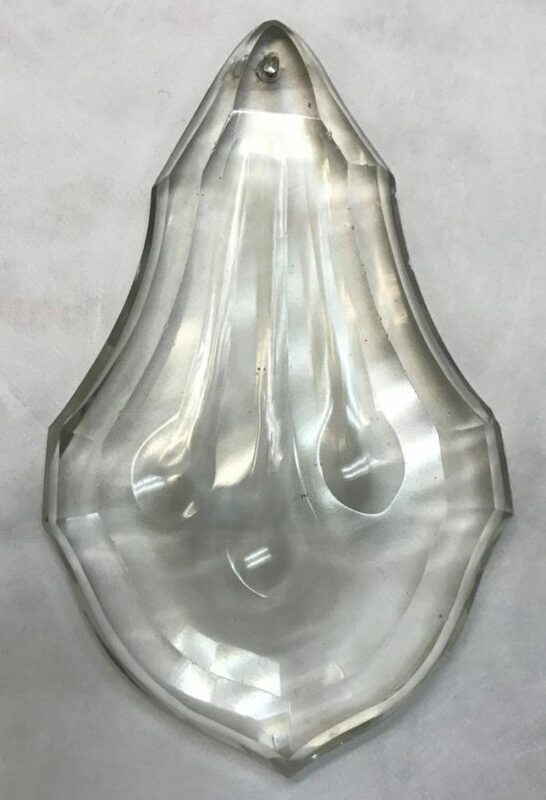 This prism, along with many others we are listing, are extras that came with 3 French chandeliers that we believe to be turn of the century Baccarat. 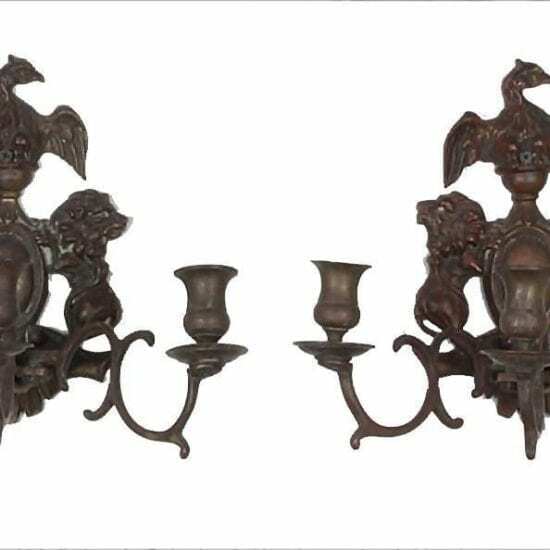 The chandeliers were hanging in an elegant mansion in Newport, RI.